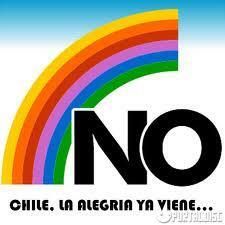 “Before, the Chilean way meant something half-baked and improvised. It transformed into doing something with faith, unity, and hope,” he said. The director convened the Council of Teachers where she repeated the same accusations before the teacher, threatening her with dismissal without severance pay. Fortunately the young teacher Daniela Moraga Zavala is a well-informed person who possesses a serene personality. She is a professional with experience who knew how to defend herself calmly until she had refuted the arguments of the director, who is also the establishment’s proprietor. Madam minister, I will take it upon myself to divulge in detail this regrettable incident in the cities I will visit in the coming weeks during the showing of this same film: Berlin, Hamburg, Lyon, Rennes, Lisbon and Grenoble. And I will repeat this example during all public appearances in the future because it is a symptom of the Chilean situation. 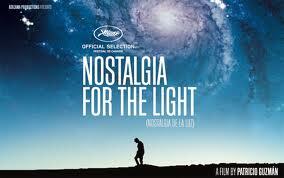 For your information, “Nostalgia for the Light” has received 32 prizes and distinctions around the world (I attach a list at the end) and it is not a work that spreads anger but on the contrary, puts the everyday fascism which still reigns in many corners of Chile in its proper place, to the shame of everyone. Distinguished madam minister, I cannot stop writing this simple letter because it is not possible to remain indifferent in the face of offenses received by a decent teacher like Mrs. Daniela Moraga Zavala, who is part of the ministry which you direct. The logo of a successful campaign to defeat Pinochet in his one-man presidential plebiscite. It was 25 years ago today that Chileans (and foreigners with at least five years’ legal residence in the country, including this blogger) went to the polls to cast ‘yes’ or ‘no’ votes in a one-man presidential referendum to extend General Augusto Pinochet’s rule for eight more years. The actual balloting was clean, but the regime delayed releasing the results, announcing very partial returns that suggested Pinochet was ahead. At midnight Chile’s air force commander decided to “pull out the detonators,” as he put it, and told a group of reporters that the ‘no’ vote had won.